A new study on how to stanch California’s penchant for water has growers, deliverers and politicians talking. The Pacific Institute’s report — More with Less: Agriculture Water Conservation and Efficiency in California — suggests that California not only can reduce its water withdrawals from the Sacramento-San Joaquin Delta, but it can also increase their reliability and quality. The Sacramento-San Joaquin Delta remains a major water source for California’s agriculture and its populous — a source facing devastation due to overuse: fish are dying; levees are bursting; the quality of the water itself is worsening. Over the past two decades, the Delta has assumed center stage in the state-wide water debate. Governor Arnold Schwarzenegger recently appointed a task force — called the Delta Vision Blue-Ribbon Task Force — to strategize sustainable management of the watershed. According to the Pacific Institute (an affiliate of Circle of Blue), the task force previously had little rigorous data available from which they could make informed and sustainable decisions. The Pacific Institute indicated that the Delta Vision Blue-Ribbon Task Force should be able to utilize this new research to enrich their decision making. The study recommends a four-fold approach to reduction that, if implemented, could change the way California uses its water. Instead of focusing on capital-intensive infrastructure projects, it suggests first evaluating and reducing the amount of water withdrawn from the Delta. For starters, the study considers the drought-prone territory: instead of planting thirsty crops of low value, it proposes cultivating a modest number of higher-value crops that use less water. Current withdrawals for agriculture comprise 80 percent of Delta water consumption. Responding to unnecessarily high consumption, the Pacific Institute recommends identifying exactly when crops need to be irrigated, ensuring no water goes wasted. Techniques already exist. 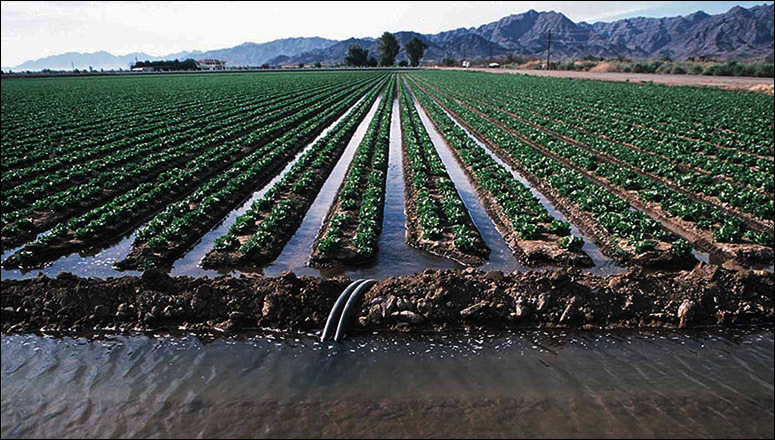 Regulated deficit irrigation allows farmers to consume less water by identifying periods during which their crops are able to endure dryer conditions. Irrigation-savvy practices could save enough water to fill more than 700,000 Olympic-size swimming pools. Increased water-use efficiency is not a substitute for the needed improvements in water storage or conveyance. This need cannot be disregarded by any well-intentioned desires or dreams that conservation alone will answer California’s water needs for decades to come. “Increased water-use efficiency is not a substitute for the needed improvements in water storage or conveyance. This need cannot be disregarded by any well-intentioned desires or dreams that conservation alone will answer California’s water needs for decades to come,” argued Jasper Hempel in a prepared statement. He is executive vice president and general counsel for Western Growers — an agricultural trade organization that grows, packs, and ships almost 50 percent of the United States’ produce. But developing infrastructure capable of delivering more water, especially in the form of dams, should not be the only answer either, the report maintains. According to Dr. Juliet Christian-Smith, Pacific Institute senior researcher and study author, “this report marks the first attempt to quantify the water savings associated with increased agricultural water conservation and efficiency. We do not indicate that the improvements included in the report are the only possible solutions; however, they amount to big savings (equivalent to 3-20 dams) and are often overlooked in statewide policy debates. Thus, we argue that conservation and efficiency are important tools, alongside new infrastructure, desalination, recycled water, and many others in our state’s water policy toolbox. “California’s water problems are diverse, and thus our responses also need to be diverse. Critics who want to paint the issue as black or white – pro-dam or anti-dam – are creating a specious debate that is not productive in terms of finding tenable solutions to serious problems,” she concludes. Sarah Haughn is a Circle of Blue writer and researcher. Reach her at circleofblue.org/contact. All photos courtesy of the Pacific Institute. Are we all convinced that Super Absorbent Polymers, Starch based and Organic, can do the trick in a vry large scale?